Editor’s Note: This story, authored by Loretta Waldman, originally appeared on UConn Today, the University of Connecticut’s news website. In 2001, Enron rocked the financial world by declaring bankruptcy in the wake of a now infamous accounting scandal. Within months, shares in the energy and commodities giant – the seventh-largest corporation in the country at the time – plunged to penny stock levels. Thousands of employees lost their jobs. Investors lost billions. 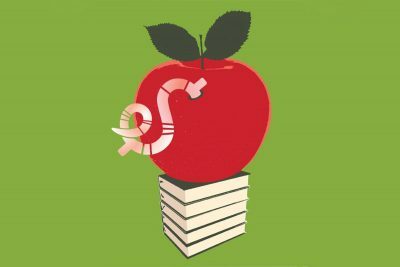 Less than 20 years later, the same type of fraud and mismanagement is happening in the charter school sector, says Preston Green, a professor of educational leadership and law at UConn’s Neag School of Education. In a forthcoming paper in the Indiana Law Journal, Green and his co-authors examine how charter school officials have engaged in Enron-like related-party transactions to divert charter school funding away from students and into their own pockets. The paper also flags steps that gatekeepers can take to prevent such abuses. These deregulated public schools are exempt from many laws governing financial transparency; and, as in the case of Enron, bad actors are using fraudulent related-party transactions to funnel money into real estate and rake in hefty management fees. In spite of this evidence, the federal government has consistently attempted to increase the number of charter schools, without pushing for more oversight. This policy approach is alarming, says Green, because it risks harming students in low-income and minority communities – the very children charter schools are intended to serve. And the trend shows no sign of slowing under President Donald Trump: Betsy DeVos, Trump’s new Secretary of Education, is an enthusiastic supporter of charter schools. In Michigan, her home state, both expansion and deregulation are occurring, he says. “What we’re trying to point out in the paper is that this is happening – actually it’s relatively common – and that the potential for abuses is pretty substantial, especially if we increase the number of charter schools and if we begin to dismantle the regulations that are in place,” Green says. Enron’s accounting issues revolved around special-purpose entities it created to hide huge debt and heavy losses in order to look good for investors. By failing to reveal that its special-purpose entities partnerships were related-party transactions, Enron violated accounting principles. Related-party transactions involve parties with pre-existing special relationships. Enron’s CFO Andrew Fastow managed its special-purpose entities, made millions in the process, and used the illegal proceeds to invest in other ventures. The fraud within the charter school sector relies on a similar web of related-party entities and transactions. Imagine Schools, one of the cases cited by Green, did this through the use of real estate investment trusts and triple-net leases. A real estate investment trust is a company that owns and manages property and is required to distribute 90 percent of its income to investors in a mutual fund-like arrangement that provides investors with steady income. A triple-net lease agreement is one in which the lessee is responsible for both rent and related costs, such as taxes, insurance, and facilities maintenance. Imagine Schools, a non-profit educational management organization that operates 63 charter school campuses with an enrollment of 33,000 students in 11 states and the District of Columbia, conducted its real estate deals through a for-profit subsidiary, SchoolHouse Finance. In a typical deal, one of its charter schools would lease the building from SchoolHouse. SchoolHouse would in turn sell the property to Imagine School’s partner real estate investment trust, Entertainment Properties Trust. The trust then leased the property to SchoolHouse at a lower rate than the charter school lease, saddling the charter schools with exorbitant rents of up to 40 percent of their public funding – nearly triple the 14 percent charter schools more commonly pay for rent. In Renaissance Academy for Math & Science of Missouri v. Imagine Schools, a federal district court ruled that the educational management organization committed a breach of fiduciary duty by causing the charter school governing board to enter into unreasonable lease agreements with SchoolHouse. The court noted that these leases “clearly constituted self-dealing,” because Imagine Schools was the sole owner of SchoolHouse and benefited from the excessive leases. Imagine Schools was ordered to pay $935,400 in damages for the breach of fiduciary duty. In September, the U.S. Department of Education’s Office of Inspector General issued the findings of an audit it conducted of 33 charter schools in six states: California, Florida, Michigan, New York, Pennsylvania, and Texas. The audit found 36 instances of weakness in internal controls, 13 of which were tied to related-party transactions. Public education is largely overseen by the states, which can enact protections to make sure money is spent appropriately, Green points out. But states are generally failing to do so, he says. Only two states, for example, forbid individuals from serving on a school’s governing board if they or an immediate family member own a company that provides services to the school. And only two states have guidelines on reasonable lease agreements. But individuals, activists, and parents can press their state lawmakers to enact protections, Green says. Access the story as it originally appeared on UConn Today.